The FCCLA sponsored blood drive held in honor of Ronnie McGilvray will be on Monday, May 6th, from 2:00p.m. to 6:00p.m. in the Northwestern multi-purpose room. Elementary students at Northwestern R-1 were recognized with the Awesome Eagle Award for third quarter of the 2018-2019 school year. To receive this honor students must have 90% attendance, display great work habits, and have no late work. The character traits of determination and honesty were also considered. Front Row: Colt Willis, Brody Bouzek, Lavinia Burstert, Kinsley Fisher, Austyn . . .
April 15-17th 3:00-6:00 pm The sale will continue after Easter Break, if there are any plants left: April 23-25 from 3:00-6:00 pm Hanging Pots-$12.00 4 pack-$4.00 9 pack-$6.00 6 in pot-$4.00 Geraniums in pot- $5.00 Single cell-$1.00 Vegetables are available. For further information please contact Chad Monnig@660-272-3201. 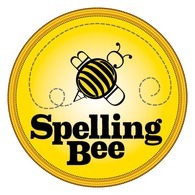 On Thursday, April 4th, eight students represented Northwestern in the Northwest Consortium Spelling Bee held at Bosworth R-V. These students were selected from the in-house spelling bee held prior to the event. The following students were participants: 2nd Grade - Couper Springfield and Kaylee VanWagoner 3rd Grade - Bryce Hayes and Payton Spencer 5th Grade - Emma Meyer and Ebony Winn 6th . . .
"FCCLA is Rockin'" was the theme for the 2019 Chapter Banquet. The multi-purpose room was rocked out like a 50's style diner complete with diner food - burgers, fries, sides, and ice cream sundaes. Members were recognized for outstanding leadership efforts throughout the year. Thanks to all those that helped make the banquet a success!! 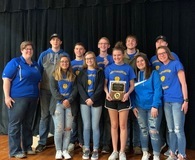 Congratulations Varsity Quiz Bowl team! Varsity teams met in Norborne Wednesday , March 27th, to compete in the CLAA Conference Tournament. The varsity team came home with the 1st place team award and Silas Brown brought home the 1st place individual award. Join the FCCLA, April 1-4, as they collect pull tabs to donate to the Ronald McDonald House Charities - Mid-MO Chapter. Aluminum pull tabs from beverage cans, food cans, and pet food cans are acceptable. 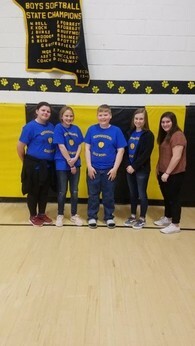 On Thursday, March 21st, several students represented Northwestern at the 2019 Northwest Consortium Math Bee in Brunswick. The students took an individual timed test, as well as competed in a group problem solving event. In the individual competition, Bryce Hayes placed 6th and Gracie Buck placed 10th. The contestants were as follows: 3rd grade - Hudson Harms, Bryce Hayes, Henry Looney, and Emmitt Smith 4th . . .